Not a day goes by where I don't use a highlighter on my face. 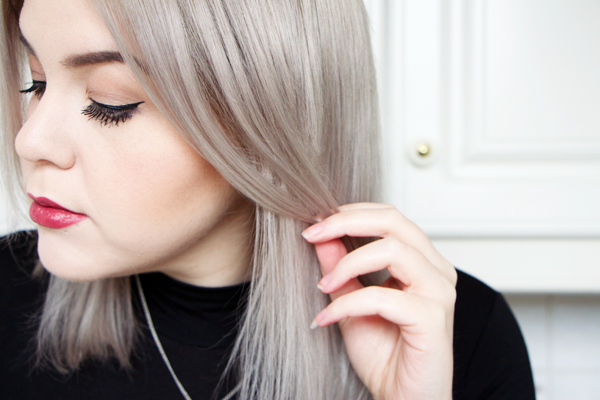 Highlighting is such an essential part of doing my makeup. 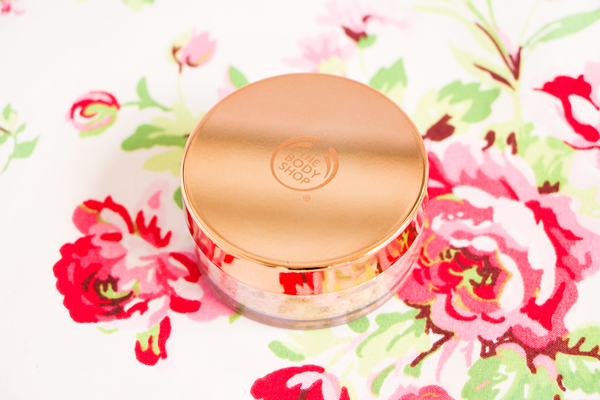 It instantly lifts the complexion & adds a beautiful sheen to the skin. Having discovered theBalm's truly stunning Mary-Lou Manizer a few years ago, it's been quite a while since I've tried a new one. I normally go for pressed powder or cream highlighters but I'd never tried highlighting pearls before. I wanted to see how they measured up to the rest of my highlighter collection. 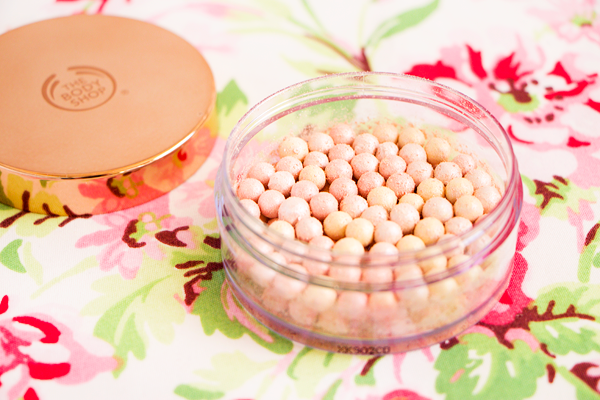 The Guerlain Météorites pearls are well known for their complexion perfecting glow but they are pretty expensive. Luckily The Body Shop do their own version in the form of these Brush On Radiance Pearls & they cost less than half the price of the Guerlain Météorites. Plus check out that gorgeous gold packaging! They look far more expensive than they really are & will probably last forever. These pretty little balls offer a high frost pink-toned shimmer. Although they look quite colourful in the pot they would definitely only work as a highlighter & not as a blush. 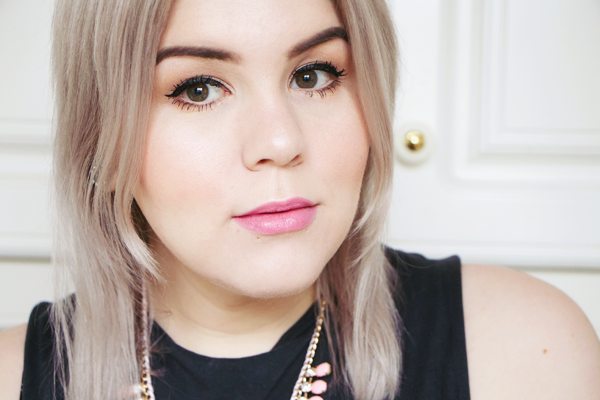 The iridescent shimmer imparted from the pastel coloured pearls really makes my cheeks pop as it catches the light. It's such a lovely product & it does a great job at perking up my skin when I'm looking a bit tired. There are loads of different way to use the Brush On Radiance Pearls. I really love how versatile they are. You could sweep over the pearls with a large fluffy powder brush as a finishing touch to the skin or you can use a smaller brush & concentrate the shimmer on the high points of your face. Used all over the face they give my complexion a wonderful healthy looking glow but I really like to make my highlighter pop by packing it onto the tops of my cheeks, down the bridge of my nose & over my cupid's bow. Then I lightly dust any excess powder onto my forehead & chin. These pearls would even work well as a body highlighter to create the illusion of leaner, longer limbs or to accentuate your décolletage. One downside is that I find the balls keep getting stuck inside the bristles of my brush & subsequently fall on the floor when I go to apply the product. If you're after something portable then look elsewhere. They're not quite as pigmented as I would like either. 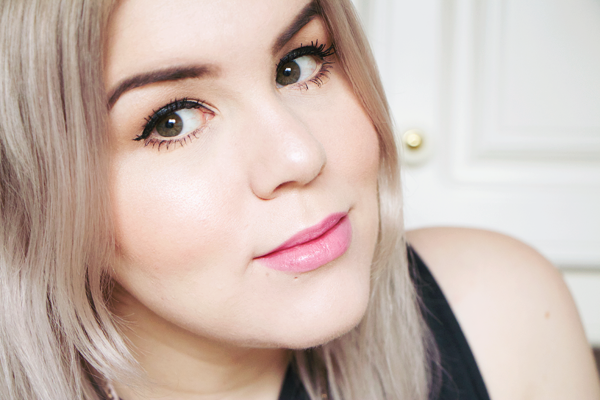 I am fussy about highlighters though as I like them to look almost metallic on my skin. This product would be ideal if you just want something to give you a subtle luminescent glow. Although they're neutral enough to suit everyone I think they would look especially nice on anyone with a cool skin tone. 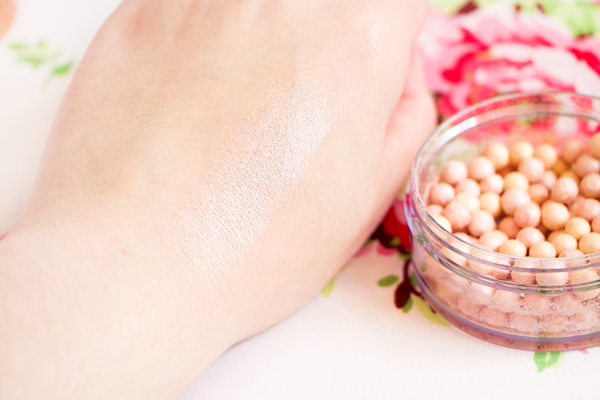 Have you tried any highlighting pearls before? As I mentioned yesterday I've been having a bit of a beauty Spring clean. I decided to go through all my products and get rid of all the things that I no longer use. Some things I had used up, some things I didn't like & some things I had simply held on to for way too long. Having this clear out has definitely given me some perspective when it comes to buying new products. From now on I'm going for the 'buy less, choose well' approach. 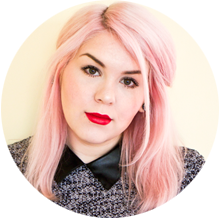 Beauty blogging is a terrible enabler. Of course I love trying out new products but everything has an expiration date. 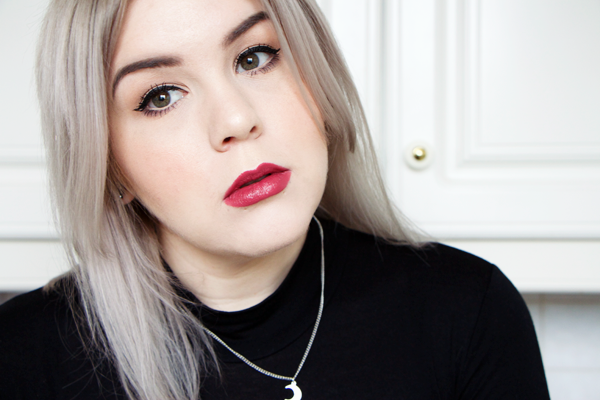 I've learned the hard way that buying every shade of a new lipstick release is a total waste. You are just one person. Unless you're a professional makeup artist, no one needs that much lippy. Anyway here's a round up of everything that I've gotten rid of. Some of these products are brand new or have only been used once so I'll be donating a few things to Give And Make Up. However some of this stuff has no place other than the bin! 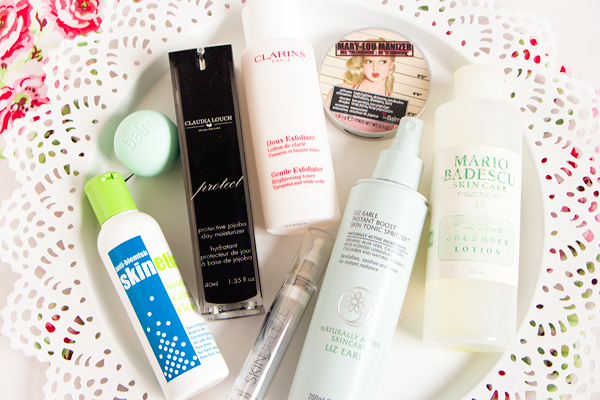 I never do empties posts because as soon as I finish something it normally just goes straight in the bin. 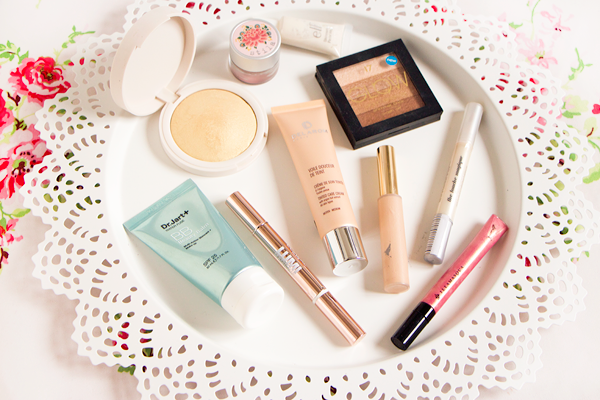 I'm making an exception for these products though because I loved them so much that I used up every last little bit. 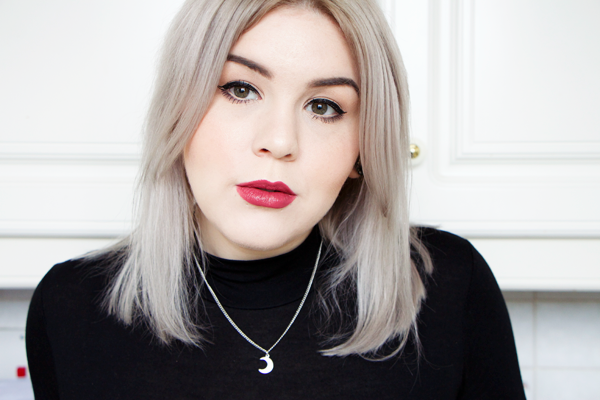 The Claudia Louch moisturiser just ran out yesterday & it was a very sad moment indeed. 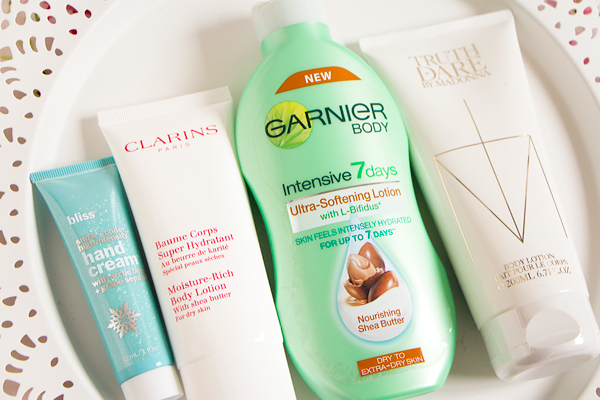 I've got a few other moisturisers to finish off first but a repurchase is looking very likely. I've already bought a new Mary-Lou Manizer as I cannot be without it. I don't think I've ever finished off a lip balm before but I finally worked my way through this mint flavoured Balmi. I loved the Skinbreeze serums but instead of repurchasing them I made a rather naughty Sarah Chapman purchase which is definitely sorting out my hyaluronic acid needs right now. 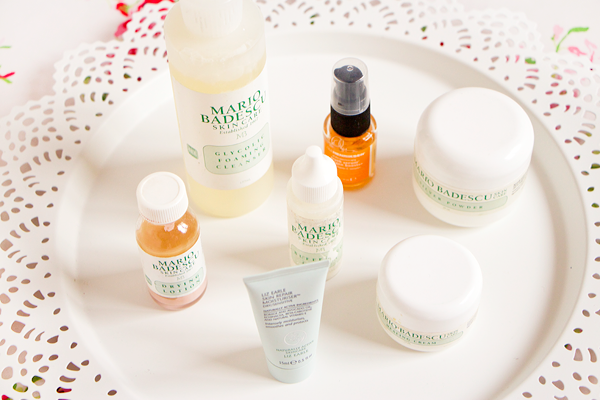 Mario Badescu products galore! I did really like most of these but I've had them for so many years that the formulas have gone a bit funny. If you want a treatment for individual spots then you can't beat their Drying Lotion & Buffering Lotion. The Glycolic Foaming Cleanser was way too harsh on my skin though. The Ole Henriksen Truth Serum is an amazing product but anything with Vitamin C in it needs to be replaced regularly as the ingredients aren't stable. Mine had started to turn a different colour which meant it was time to get rid of it. I found this Liz Earle moisturiser sample lurking in my drawers. Having tried the full size version of this moisturiser I can't say I'm a fan. It just did nothing for my skin so I didn't want to keep any more of the stuff in my stash. Body lotions have to be the most boring products ever. I rarely use them & these had been sitting untouched in my drawers for months. I don't think I've ever actually finished off a body moisturiser so it was just completely pointless keeping these around. In-shower moisturisers are definitely the way forward. Since getting a huge acrylic display for my nail polishes these ones have been hidden away without getting any love. A lot of the colours had separated or gone gunky so into the bin they went. 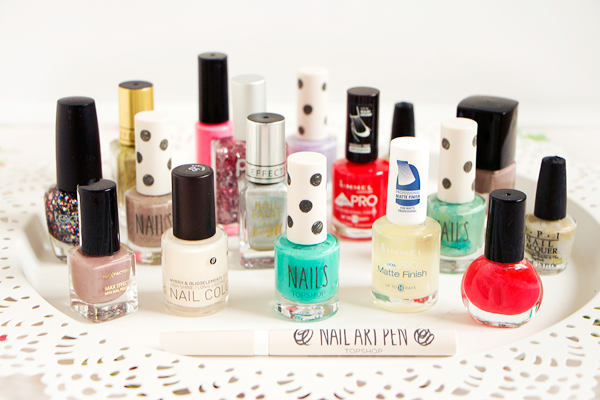 I know now to stick with the polish brands that I really love like Essie & Model's Own. I was totally kidding myself with the Dr. Jart+ BB cream, it was way too orange & greasy looking! Likewise the Delarom Tinted Care Cream was completely the wrong colour for me. It didn't even offer any coverage whatsoever, it was just a weird orange moisturiser. The L'Oreal concealers didn't work for me at all, I need something more heavy duty to cover my bags. I loved the Estee Lauder Double Wear Concealer but it was on it's last legs & I much prefer my NARS Radiant Creamy Concealer. I never really got on with any of the highlighters here. They pale in comparison to my beloved Mary-Lou. The worst was that bright yellow one from Topshop. It looked horrendous on me! I rarely use anything on my eyebrows that isn't from Anastasia Beverly Hills now so I got rid of these two brow palettes. Both were way too dark for me anyway. I also got rid of these Urban Decay & Estee Lauder eyeshadow palettes. I've had them for years & never bothered to use them anymore. The ELF Mineral Eyeshadow & the Rimmel Gel Liner were disappointing products. They were very cheap though so no great loss there. I love the MAC Fluidlines but again I've had them for years so they had started to dry out & I think I actually got an eye infection from one of them a few months ago! 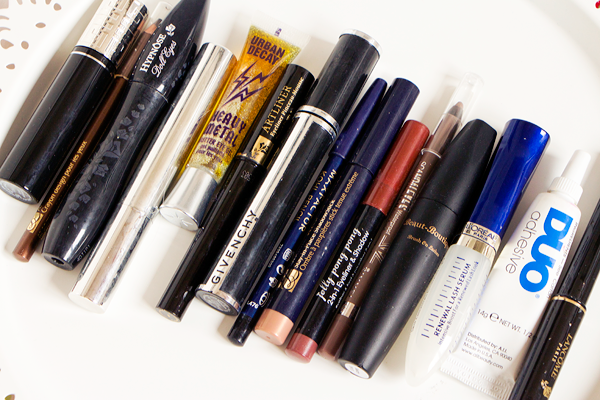 For some reason I had kept hold of loads of old mascaras. I adored the Givenchy & Lancome ones but they'd pretty much been used up. I got rid of my old Lancome Artliners in Black & Brown. I have fresh backups of these though because they are incredible liquid liners & give me a perfect flick every time. The Duo glue had gone really gloopy & gross but I've since bought the dark version & I much prefer it. I keep most of my makeup in some acrylic drawers from Homebase. They're twice as long as the Muji drawers so you can store tons of products in there. I actually cleared out one whole drawerful of lip products! Lipsticks have always been a weird obsession of mine but I came to realise that I only really wear the same select few over & over. The rest are just wasting away & taking up precious storage space. 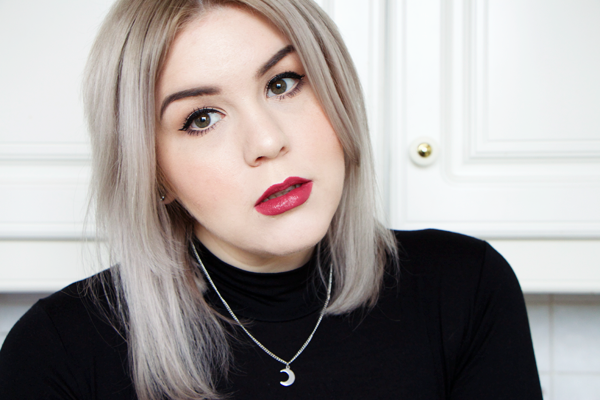 Why hoard loads of lippies from Boots when I have MAC & Charlotte Tilbury goodies to be using? I tested most of these out to see if they had developed a weird taste or smell. They had. One lipstick had even grown a fine layer of mould argh! I also got rid of most of my lip glosses as I just never really wear them. The weather round here is always too windy for gloss! Over the years I've accumulated a ridiculous amount of beauty products. I'm not a makeup artist & have no interest in ever becoming one so it seems kinda pointless to keep hold of so much stuff. I've been trying to clear out some of my vast beauty collection recently and makeup is always the hardest category for me to dispose of. I've spent a lot on these products and by getting rid of them it's like I'm literally chucking my money in the bin. 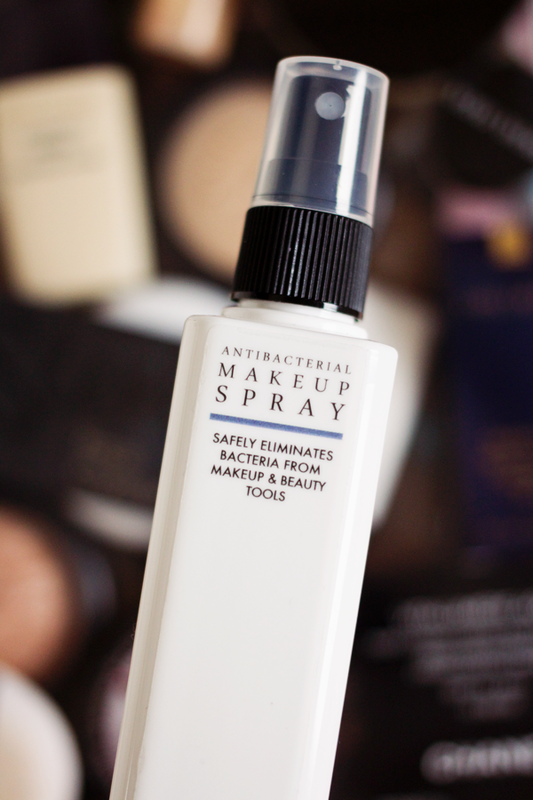 Some things really do need to be binned like weird smelling lipsticks & old mascaras but it is possible to keep hold of some older products with the help of this wonderful Antibacterial Makeup Spray from The Pro Hygiene Collection. I love their Makeup Brush Cleaner which is great for spot cleaning your makeup brushes and when I spotted this spray on Feel Unique I figured it could save some of the products that I couldn't bear to be parted with. This antibacterial spray kills 99.99% of germs within 60 seconds of application without affecting product performance. Once used it also inhibits regrowth of bacteria on the surface of makeup products. You can use it on gels, creams, pencils, powders & lipsticks. As well as makeup you can use this product to sanitise tools such as pencil sharpeners, eyelash curlers & tweezers. 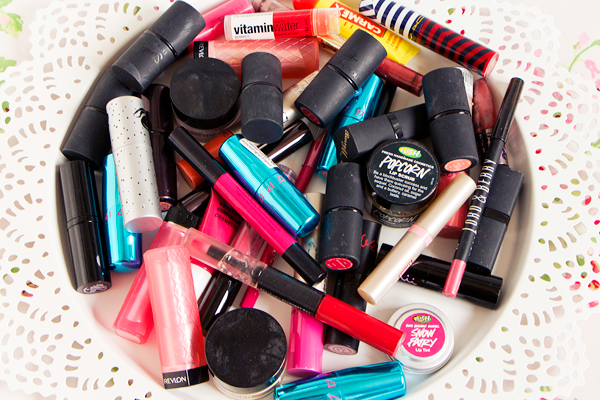 The main things you can't use it on are mascara & lip gloss. Since getting this product I've been on a huge hygiene kick, spraying all my makeup after use & disinfecting all the older products in my collection. It's so quick & easy to use and it won't ruin your products either. One of those products that I definitely had to save was this MAC Royal Assets eyeshadow palette from their Antiquitease Holiday 2007 collection. That means I've had this palette for seven whole years. Pretty gross, right? But those colours are totally beautiful & as this was a limited edition palette it's not like I could've repurchased them. I used this practically every day for a whole year when I first got it. 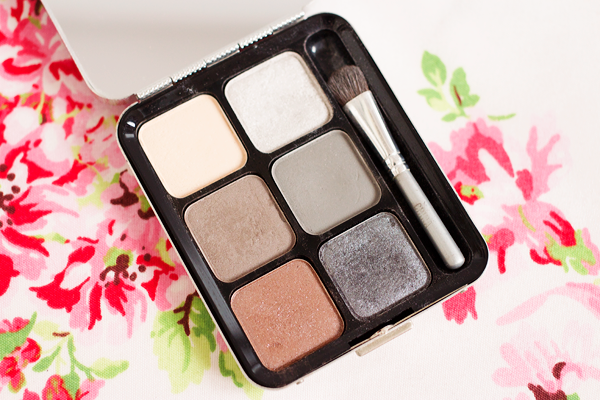 I love how the silvery shades look on my eyes & I've never found another a set of eyeshadows quite like this. The little 211SE brush that came with it is actually really great too. I'm tempted to replace it with the Charlotte Tilbury Rock Chick eyeshadow palette but this MAC palette has huge sentimental value for me. Anyway in order to disinfect these eyeshadows all I had to do was hold the bottle 30cm away from the palette, spray once & leave them to dry. 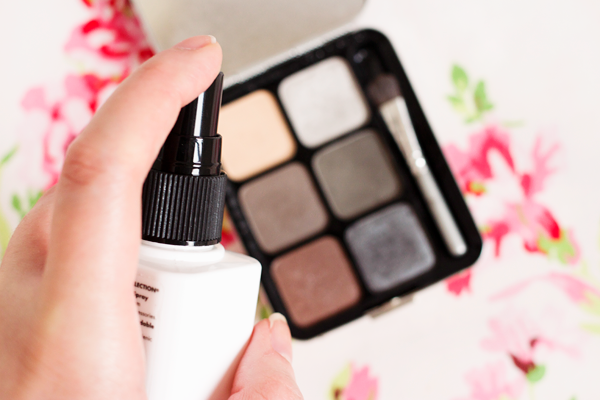 The spray doesn't leave any residue or add a hard crust to your powders. 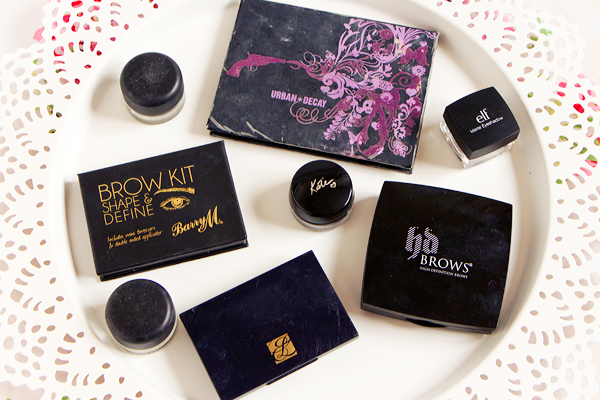 These eyeshadows still have exactly the same texture & pigmentation as before, they're simply cleaner & safer to use. This antibac spray is a dream for fellow makeup hoarders. It is one of the best things you can buy to preserve your cosmetics & you'll be able to use your old products without having to worry getting spots or eye infections from them. Everyone knows that they have to clean their makeup brushes but it's just as important to clean the makeup itself and that's why this antibacterial spray is essential for any makeup lover. 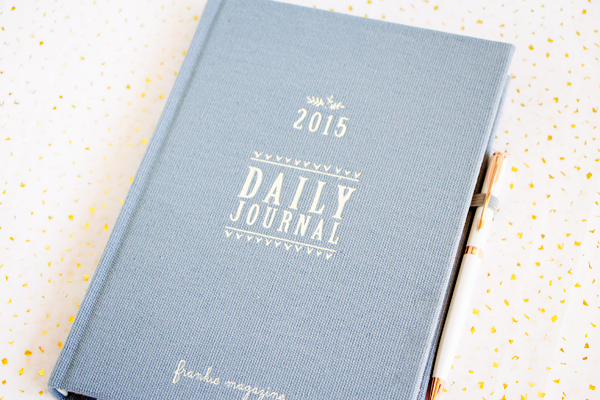 I first bought a Frankie diary two years ago & I simply had to get another one this year. They are my favourite diaries ever & well worth importing from Australia. 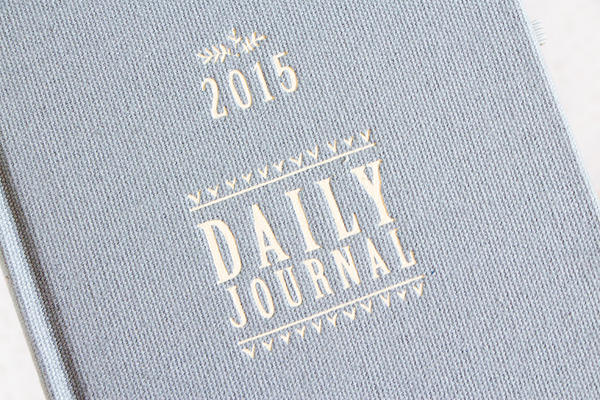 The 2015 diary is bound in grey cloth & is A5 which I think is the perfect size. The beautiful pages were illustrated by Sara Hingle who has embellished every spread with colourful patterns & cute drawings. There's plenty of room to write down everything you need and a pocket at the back for storing bits & bobs. 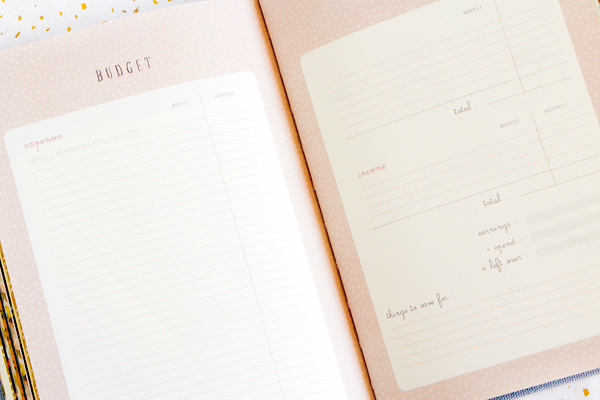 I especially like the special sections for addresses, birthdays, shopping lists & working out budgets. 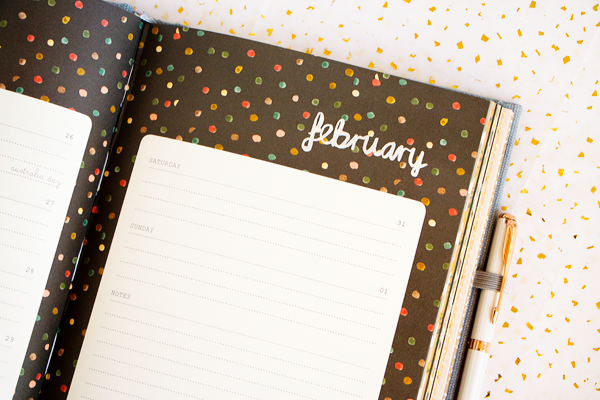 The diary also features gift tags & sticker sheets. I just love absolutely everything about it! 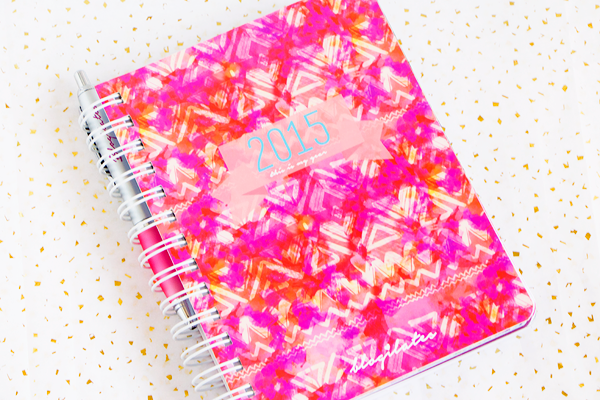 I always pre-order my Frankie diary so that it has plenty of time to get here & to make sure I don't miss out on one. They seem to still have some in stock so it's not too late to order one of these utterly gorgeous journals for yourself. 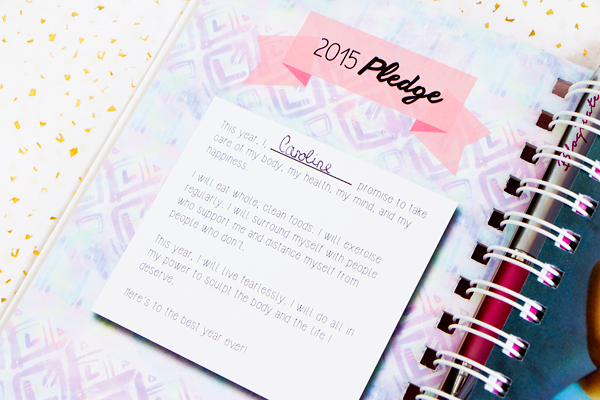 I love Cassey's exercise videos and in an attempt to kickstart my fitness regime this year I decided to buy her Blogilates fit planner. I went for this one over the Dailygreatness training journal mainly because it lasts for the whole year instead of just 12 weeks. I used to track my food & exercise using My Fitness Pal but I find it a pain to use if you're not eating things that are ready made. Instead I've just been writing what I'm eating & how much exercise I'm doing everyday into the planner without obsessively counting calories. When you're writing things down it's obvious whether you're eating sensibly or not. As long as I'm eating healthy food & following an exercise plan then it's bound to have a positive impact on my body. 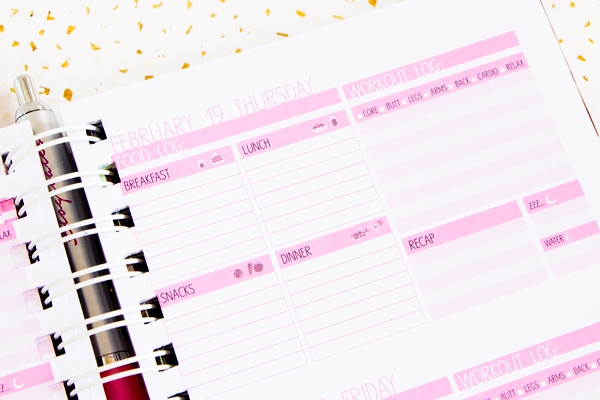 The food & workout log sections are quite small but there is just enough room to fit everything in. 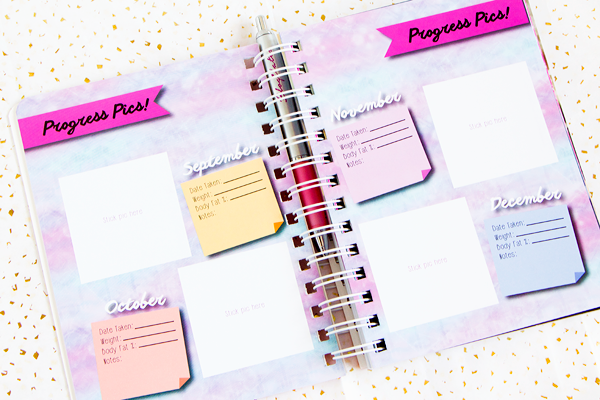 I really like that it has a section for progress pics so you can see the changes & note down your measurements. It was about £27 including delivery from America which isn't too bad. I just hope it'll spur me on to finally get fit & lose weight. I've become slightly obsessed with washi tape lately. They're so great for decorating anything & everything. I hated not having any proper storage for my tapes though so I scoured the internet for a nice looking holder. 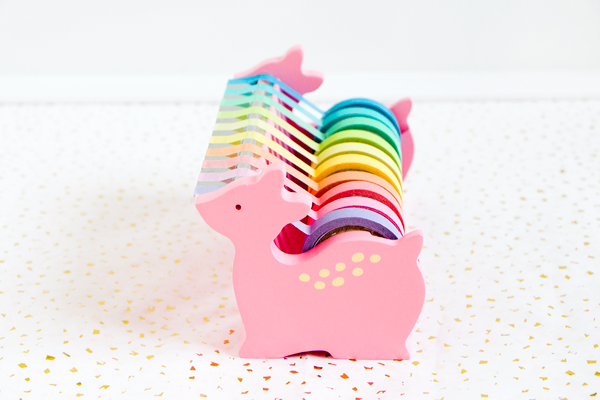 I struck gold with this adorable pink deer washi tape dispenser which I found on Etsy. The seller is based in Hong Kong but my package came super quickly & they even included another washi tape as a free gift. 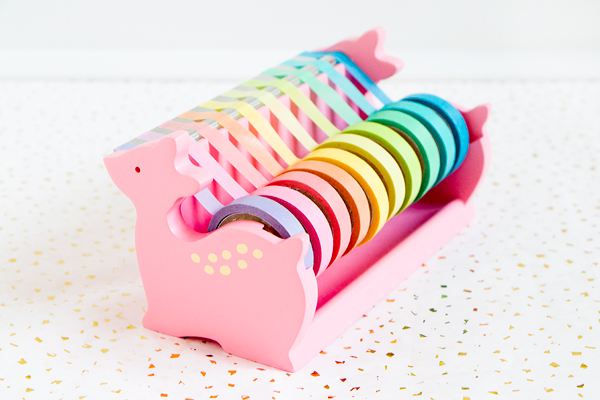 You can get loads of other animal tape holders on Etsy including cats, ducks & polar bears! I bought the rainbow washi tapes from Amazon. These rolls are a lot smaller & thinner than most tapes but they only cost £2 and rainbow colours always look cute. When it comes to design, typography is my greatest passion. My personal style tends to be influenced by Swiss modernist type which is dependent on sans-serif fonts & grid systems. However I still think it's important to keep up with current design trends and listen to what consumers actually want. Modern copperplate calligraphy is everywhere at the moment. One of my goals for 2015 is to teach myself this style of calligraphy so I ordered some supplies from Scribblers. 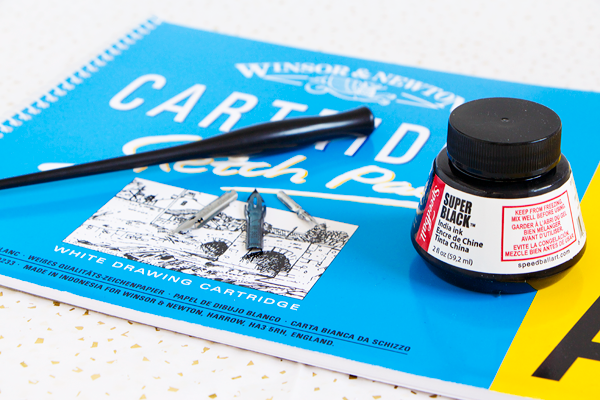 I found this excellent beginner's guide to modern calligraphy and I made my purchases based off the recommendations there. I got a plastic Speedball pen holder with Brause Steno, Rose & Extra Fine 66 nibs. I also got some Speedball Super Black India ink & a pad of cartridge paper. I'm just practicing with them at the minute but I might buy a guide so I can learn the proper techniques & different script styles. Yeah yeah yeah, I know I say this every year but this time I really do want to lose weight & keep it off. I've already started off well by doing a mixture of Tone It Up, Jillian Michaels & Blogilates routines but I want to get back to the gym and do some classes. The only class I can get to is spinning so I'm gonna give that a go soon. In terms of diet I'm just gonna try eating a bit cleaner and make sure I use my NutriBullet every day. I've always failed when it comes to following a strict diet because I just love food too much! I do some terrible diet sabotaging things like eating whole bags of giant chocolate buttons so even just a few small adjustments should help make a difference. I passed my driving test way back in 2006 (first time!) but I haven't driven at all since then. Mainly because I couldn't afford a car & thought it was pointless to get one while I was at uni. After I graduated I still didn't bother to buy one and have struggled along on public transport for the past few years. Having my own car & being confident enough to drive on the motorway would be brilliant. Then I could go shopping without my bags cutting off the circulation in my arms & could apply for jobs that are further afield. I could also take Chloe out on more day trips without having to wait for Andy to have a rare day off. She's pretty good with getting buses & trains with me but there's so many places that you can't reach without a car. I'd love to get something small like a Fiat 500 but I guess it all depends on how well I do with these refresher lessons! After four years of being a stay at home mum, Chloe finally started infant school in September and I gained a bit more freedom. I've been looking for a new job for the past couple of months and so many companies seem to be impressed with my portfolio. However finding something that can fit within school hours is a lot trickier than it seems. As soon as I say I want to work part-time, they say they're no longer interested. I have no help with childcare - there's no room at the local after school care club, Andy works ridiculous hours because he's a store manager & both sets of grandparents live too far away to help out at all. Being at home all the time is boring, depressing & lonely. I just want a job where I actually get to leave the house & work amongst other people. Typography is one of my biggest passions in life & I've missed doing something creative as a hobby. Creating web graphics all the time gets a bit soulless and I've always preferred design for print. Currently hand drawn lettering is far more appealing to me than using pre-made fonts so I've decided to teach myself modern copperplate calligraphy. This style of lettering is hugely popular right now & there's a large market for calligraphic prints, greetings cards, wedding stationery etc. I've only just started out so I'm no expert yet but depending on how good I get at it I might open up my own print shop on Etsy. If not I'm happy to keep it as a hobby. Drawing out letter sets over and over again is strangely relaxing! Not to toot my own horn but I've always excelled at learning languages. Spanish was my favourite subject at school & I was really good at German too. I worked in a shop in Spain and did a German exchange so I feel like I know enough to survive in those countries. However Japanese is something that has kinda eluded me. I love Japanese culture & my biggest dream would be to visit there someday so I really want to learn how to read & write it properly. I've picked up vocab from watching tons of anime & we even had a Japanese club at school. For the first term we had actual Japanese people teaching us but after that we got taught by one of the language teachers at school who was basically useless and killed all my passion for learning the grammar & characters. I came across this video by Kelsey Ellison about how she learns Japanese & she inspired me to try again. I bought one of the Japanese From Zero books that she recommended & I'm gonna attempt learning the language by myself. I think the thing I struggle with most is remembering the hiragana, katakana & kanji. I can understand a lot of romanised text so now I need to make a real effort with the Japanese alphabets! 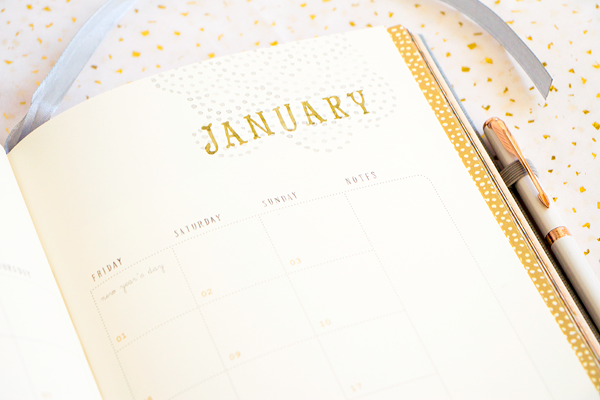 Of course I do have to mention blogging & my intentions for Sparkly Vodka this year. I've had a huge influx of followers recently so hello to all of you & thanks for reading my blog! My sole aim for 2014 was to write 150 posts. I missed the mark by 10 so I'm gonna try my hardest to get to 150 this year. My posts have always been quite text heavy because I like to write really thorough reviews so they do take me a few hours to do. If I'm gonna achieve my other goals for this year I doubt I'll have time to write many more. But who knows what the future holds?! I'm gonna make a conscious effort to focus more on makeup than skincare this year & hopefully get on with doing some YouTube makeup tutorials. Anyway I just want to say a huge thank you to everyone who reads my blog & enjoys the content I put out. So here's to 2015! I hope you all have a fantastic year filled with plenty of success & happiness!